The Postal Public Service, deficient in a good part of the Spanish territory, is also in the Region of Murcia. Especially in non-urban areas dependent on the Post Office that have been cut their budget funding for the provision of the Universal Postal Service (SPU) by 66% (120 million euros) in 2017. The draft General Budgets of 2018, again cut back on that amount, pending the completion of the budget debate. In addition, the State owes the postal company more than 250 million euros corresponding to the financial years of the last years. The harmed ones are being, mainly, the citizens and companies of rural zones. 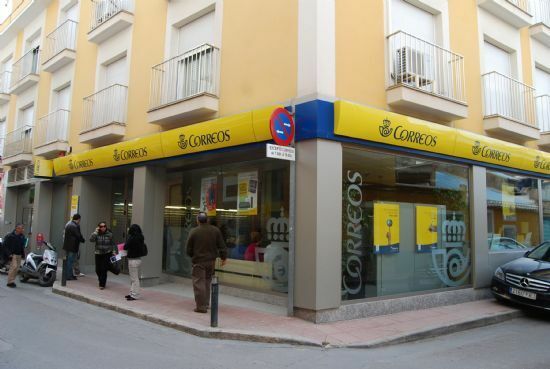 Areas in which the service provided by Correos is experiencing considerable deterioration, with extreme measures such as the suppression of the Service. In this sense, and as a result of the reduction of means and financing that Correos has for the provision of Public Service, the company has cut 15,000 jobs since 2010, 150 of which in the Region of Murcia that, besides causing a serious deterioration of the Postal Service, means more unemployment in the Province. "The cutting of services to citizens, especially in localities such as Totana, implies the disappearance or drastic reduction of domiciliary distribution of correspondence, closure of offices in rural or sparsely populated areas, reduction of opening hours for the public or elimination of posts in the rural area that currently provides this basic service in thousands of population centers that will be deprived of minimum access to Postal Services. " The cut contemplated in the PGE 2018 Project will affect more than 16 million citizens of medium and small populations such as Totana and Aledo. Town that attends the Office of Totana. In this office, it may involve a reduction of two postmen, weakening the already cut Service in a population that has grown 4,000 inhabitants in the last 8 years and 10,000 since 2001, according to INE data. The growth of the population and demand for this basic service has been parallel to the deterioration and cut in the Postal Service in recent years, dismantling a Service that was a model years ago in Spain. To all this we must add the announcement of mobilizations of the postal unions, generating an open labor dispute in case of not correcting the cut of financing and employment, reason added to the uncertainty and concern for the future of the Postal Service and employment . "For all this, we fully raise a motion urging the Government to correct in the parliamentary process of the PGE in 2018 the cut that is having clearly negative consequences for citizens, for Correos and its workers and workers and demand the restitution of the 120 millions of euros cut in the 2017 PGE to guarantee the provision of the Universal Postal Service and the viability of the Public Company. "